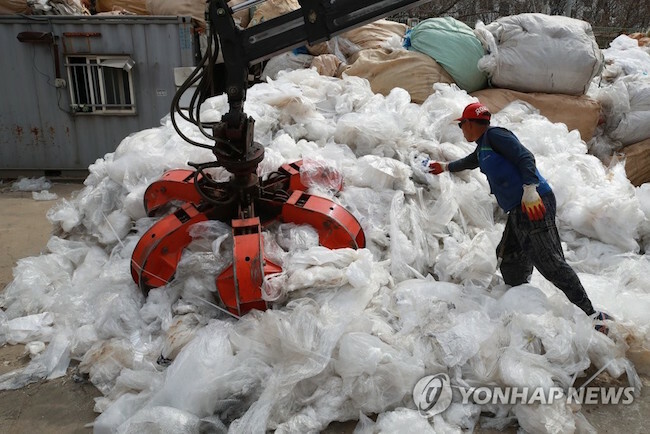 SEOUL, April 5 (Korea Bizwire) — China’s refusal to be the “world’s garbage dump” by banning imports of various plastics and other waste materials that went into effect in January has left ordinary South Koreans feeling a swirl of emotions as the country’s authorities scramble to figure out how to dispose of plastic bags and other recyclables. Since their livelihood depends on China accepting the refuse they have collected and shipped, recyclable collectors have said they will no longer be taking plastic bags on their routine pickups. 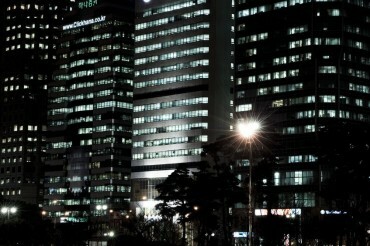 As a result, heaps of waste materials made of plastic film are blighting residential apartment complexes across Seoul. 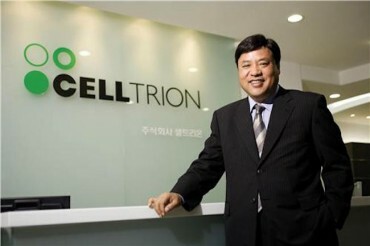 While the dilemma of what to do with the recyclable waste remains the focal point, the current situation has stirred conversation on acceptable methods of recycling, an area that research has shown South Koreans can still improve. According to the Ministry of Environment, research conducted from September 2016 through July 2017 found that 53.7 of the waste material in standard garbage bags consisted of recyclable material like paper, plastic bags, metal and batteries. In the standard garbage bags, paper comprised the highest proportion of the waste material held at 28.5 percent, followed by toilet paper (21.1 percent), plastic (20.8 percent) and food waste (4.8 percent). Of these, paper and plastic can be separately disposed of via recycling. Even when recyclables have been separated from standard garbage, evidence of lazy or unconscientious waste disposal methods still turn up. 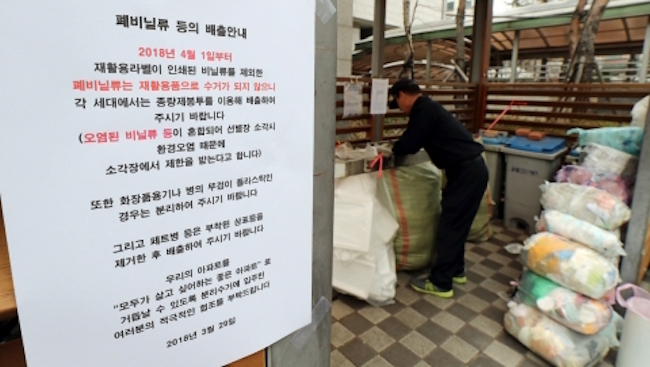 At one Busan apartment complex, sorting through the piles of boxes set aside for collection revealed a carton of chicken with a clump of bones still inside. Other undesirable materials in the paper section included plastic wrapping pieces and bubble wrap. Lodged in the middle of a mound of empty PET bottles was one still half-full of brightly colored soda. And peering through the bunches of plastic bags and other plastic film products, one could see a few that were contaminated with food stains. Fortunately for Park and others who undergo similar ordeals, more fellow citizens are taking the time to think about how to better handle their recyclable garbage. 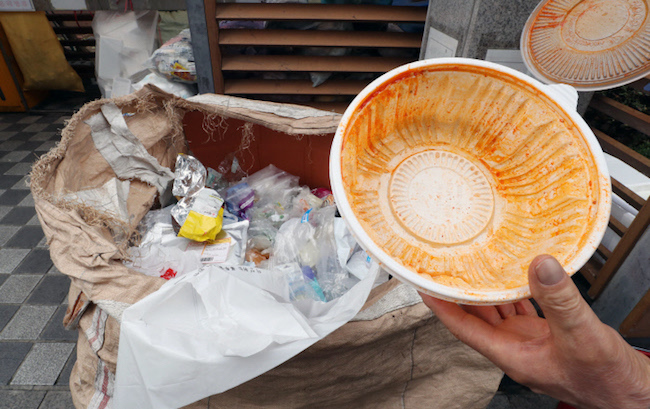 One 32-year-old man living in Seoul said he had initially been very upset with the garbage collectors for suddenly refusing to take on recyclables, but that he later felt embarrassed at his lack of civic awareness when learning about what was happening behind the scenes. “At the bare minimum, everyone should make sure that the things they throw away are actually in a state suitable to be recycled. When I ponder whether I didn’t at times just toss out dirty items into the recycling bin, I feel humbled and sorry,” he said. Meanwhile, others have called for sweeping efforts to reduce the volume of plastic bags used altogether. 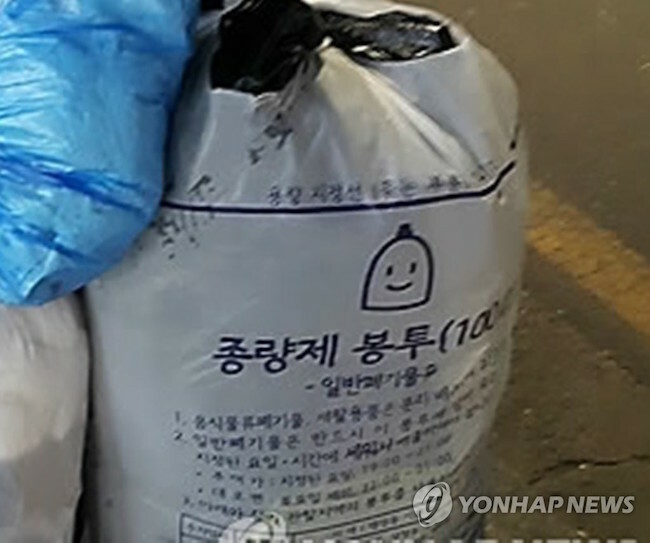 According to published data, in 2015 the average South Korean used 420 plastic bags, an astronomical figure compared to the four used per year by every Finn measured in 2010. Even when treating Finland as an outlier, South Korea’s frequent use of plastic bags still outstrips other European countries like Greece (250), Spain (120) and Germany (70), though a caveat is the data collection periods were separated by a five-year gap. According to some, China’s import ban and the ensuing confusion may prove to be a blessing in disguise. 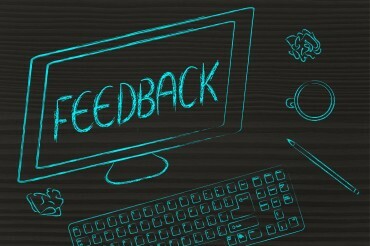 One message posted on an online forum discussing the current recycling issue read, “The government needs to use this opportunity to create policies that scale back plastic use”.